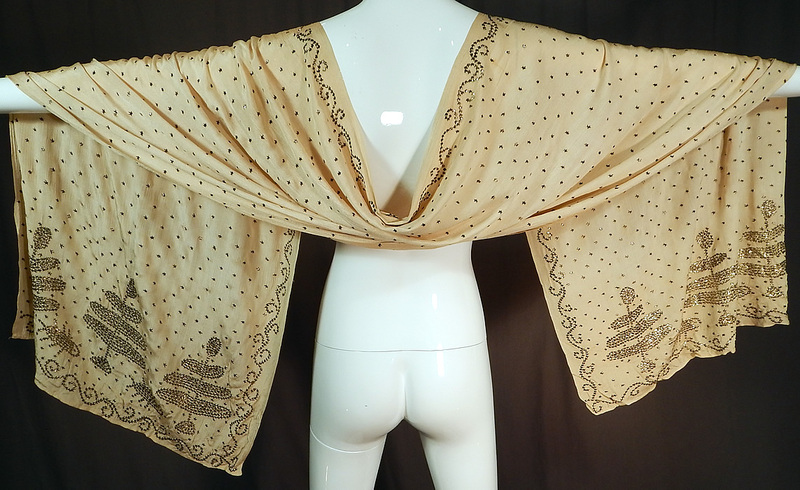 This amazing antique Art Deco Turkish tel-kirma assuit cream silk silver stud shawl scarf dates from the 1920s. 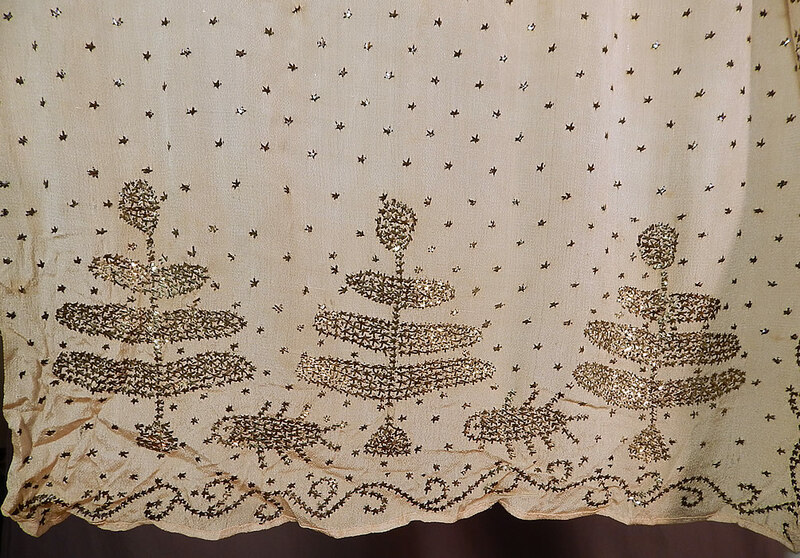 It is made of an off white cream color silk fabric, covered with hand applied silver metal pieces done in a decorative Coptic designs along the ends, stars throughout and a scrolling spiral border edging. 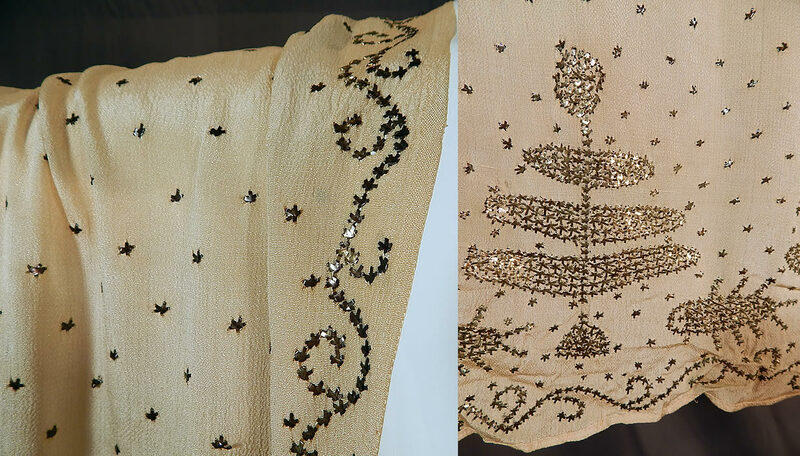 This Tel-Kirma telli shawl is a close relative to the Egyptian Tulle-bi-telli, Assuit, Asyut, Assyut, Assiut. Tulle-bi-telli, but is a Turkish style. This beautiful belly dancing shawl style scarf wrap measures 87 inches long and 24 inches wide. It is in good condition, with a few small faint stains. 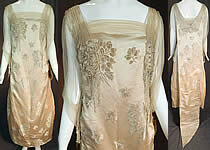 This is truly a rare and one of a kind piece of wearable Ottoman Turkish textile art!